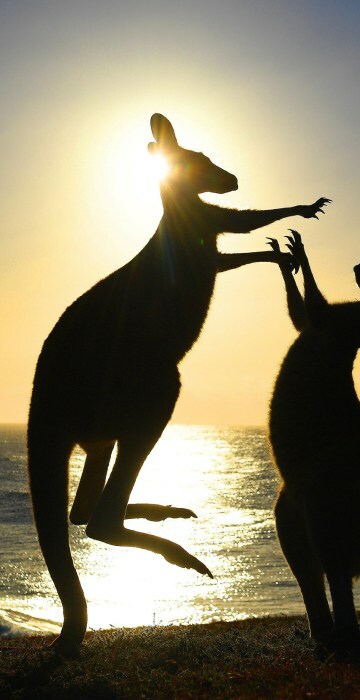 Young sumo wrestlers celebrate, molten lava spills in Indonesia, kangaroos fight on the beach and more of the week's best pictures. 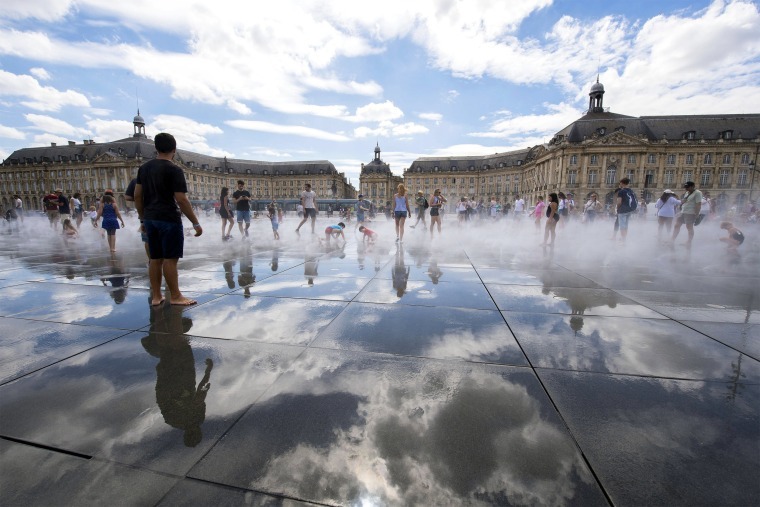 Kids and adults refresh themselves in the "Water Mirror" fountain in the center of Bordeaux, France, on Aug. 4. Southern Europe and the Balkans are experiencing a heatwave with temperatures reaching more than 100 degrees Fahrenheit. Britain's Prince Philip, in his role as Captain General of the Royal Marines, attends a parade on the forecourt of Buckingham Palace in London on Aug. 2. 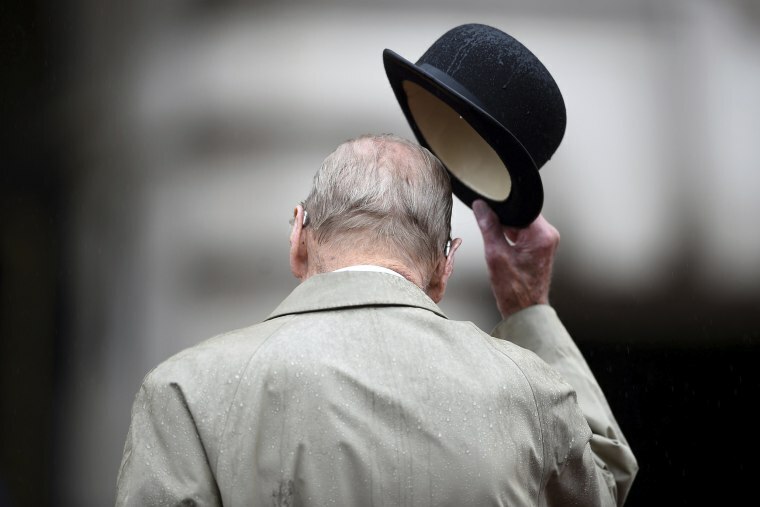 Philip, the 96-year-old husband of Britain's Queen Elizabeth, bowed out of public life with a final solo appearance at the event. Philip has been by the queen's side throughout her 65 years on the throne and she has described him as "my strength and stay." Elementary school sumo wrestlers react during the Wanpaku sumo-wrestling tournament in Tokyo on July 30. Sumo wrestling was invented in Japan and competitors battle to see who can force the other to step outside the ring or touch the ground with something other than the soles of his feet. 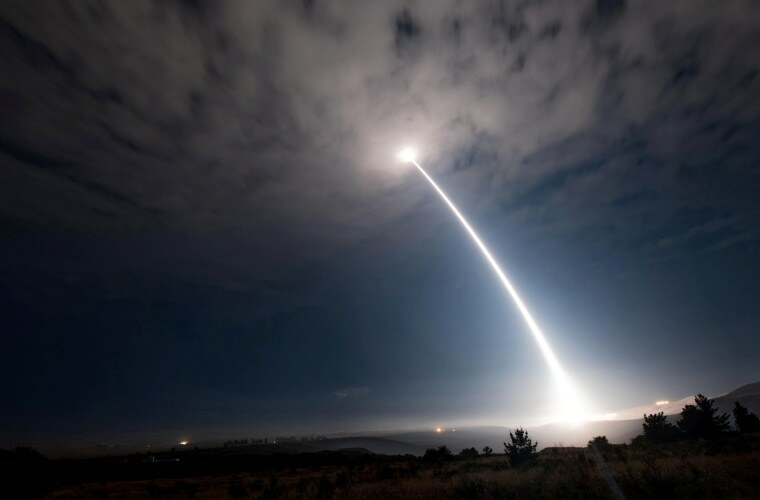 An unarmed Minuteman III intercontinental ballistic missile launches during an operational test early on Aug. 2 at Vandenberg Air Force Base in California. An Air Force statement said that the test was not a response to recent North Korean actions, but shows that America's nuclear enterprise is "safe, secure, effective and ready to be able to deter, detect and defend against attacks on the United States and its allies." 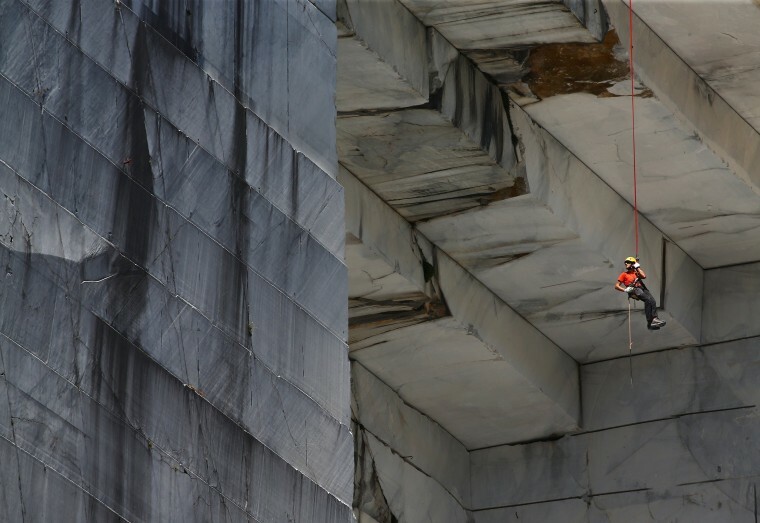 A worker, known as a "Tecchiaiolo," examines marble at the Cervaiole quarry on Monte Altissimo in Tuscany, Italy, on July 18. In 1517, Michelangelo climbed Mount Altissimo in Tuscany and found the marble of his dreams. It was, the Renaissance master wrote, "of compact grain, homogeneous, crystalline, reminiscent of sugar". He deemed it perhaps even more precious than that from nearby Carrara, where he had obtained marble for some of his most famous statues. In exchange for getting a quarry operation going, Florentine authorities granted Michelangelo the right to take as much marble as he wanted from Altissimo - which in Italian means both "most high" and "God" - for his use for the rest of his life. Photo made available Aug. 2. 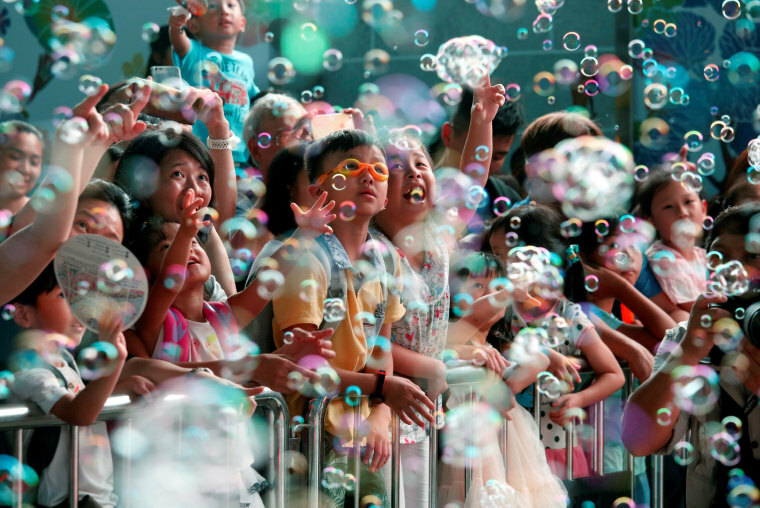 Children reach for bubbles during a public art exhibition by Japanese artist Shinji Ohmaki outside Harbour City Mall in Hong Kong on Aug. 4. Ohmaki's project uses a 10-foot tall machine to spew out 10,000 bubbles every minute. 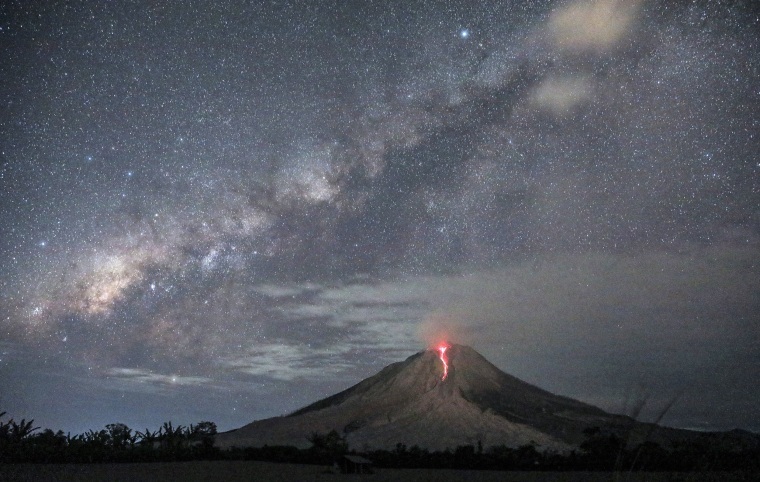 Molten lava spills from Mount Sinabung in Karo, North Sumatra, Indonesia, on Aug. 2. Sinabung burst back to life in 2010 after a long period of dormancy. The volcano has been erupting sporadically ever since, killing 17 people and forcing more than 30,000 to evacuate their villages. 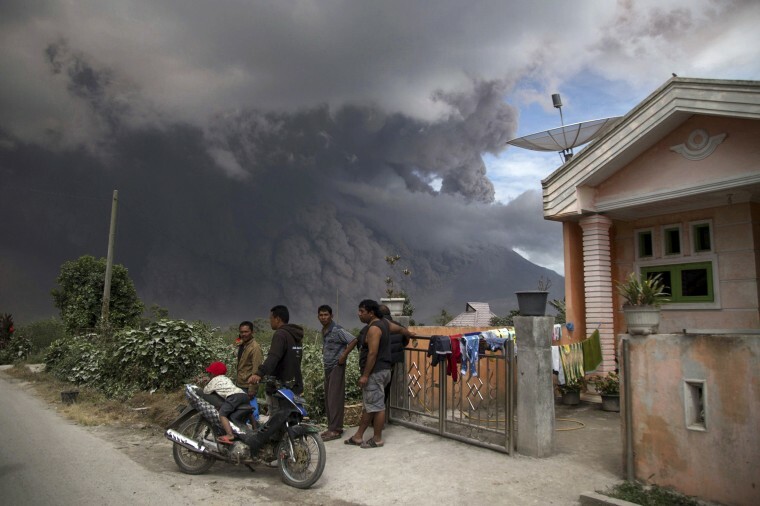 Villagers watch Mount Sinabung during its eruption in Karo, Indonesia, on Aug. 2. The volcano blasted ash as high as 2.6 miles, one of its biggest eruptions in the past several months of high activity. 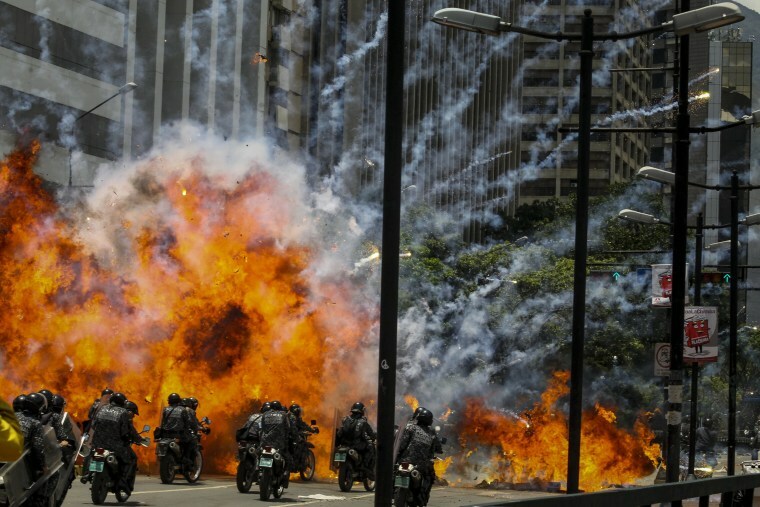 Flames from an explosion leap up in front of Venezuelan police during clashes with anti-government protesters in Caracas, Venezuela, on July 30. Venezuela has been gripped by months of protests and political upheaval amid President Nicolas Maduro's plans to rewrite the constitution. 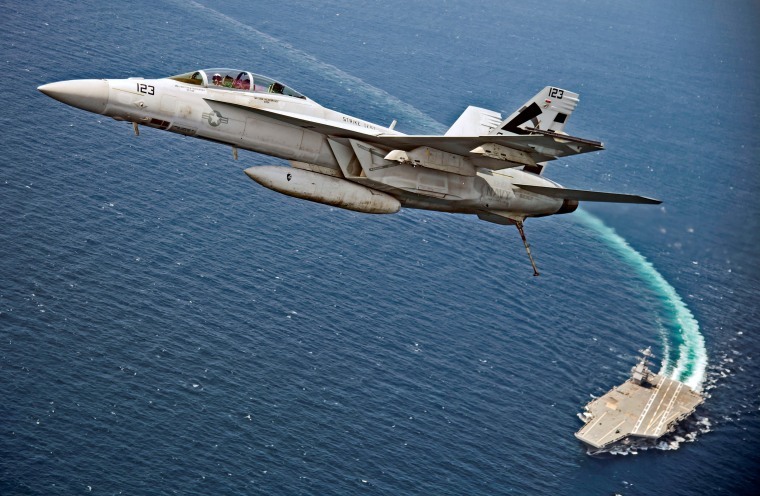 An F/A-18F Super Hornet jet flies over the recently commissioned U.S.S. Gerald R. Ford as the U.S. Navy aircraft carrier tests its EMALS magnetic launching system, which replaces the steam catapult, in the Atlantic Ocean on July 28. The high-tech electromagnetic catapult is one of the signature innovations of the Ford. 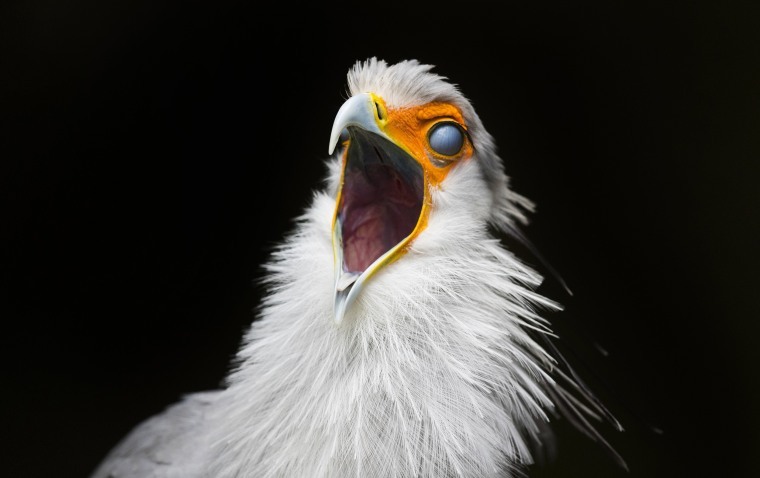 A secretary bird rolls its eyes back as it squawks at the World of Birds Wildlife Sanctuary in Cape Town, South Africa, on Aug. 2. 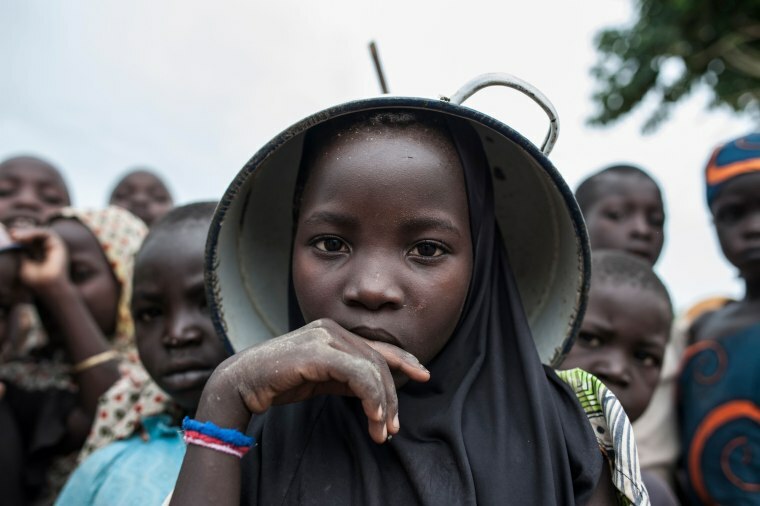 A young girl with a pot on her head poses with other children at a camp for the internally displaced in Gwoza, northeastern Nigeria, on Aug. 1. Boko Haram seized Gwoza in July 2014, making it the headquarters of their so-called Caliphate. Although it was retaken by Nigerian troops in March 2015, the extremists continued to raid nearby villages from their hideouts in the mountains along the border with Cameroon. At least 20,000 people have been killed and 2.6 million others displaced since the hardline Islamist group began a rebellion in 2009. The Soyuz MS-05 spacecraft carrying Italian astronaut Paolo Nespoli, cosmonaut Sergey Ryazanskiy and NASA's Randy Bresnik sheds its four boosters after blasting off to the International Space Station from the launchpad at the Baikonur Cosmodrome on July 28. A few minutes into the flight, the rocket sheds its four boosters as the liquid fuel is exhausted and can no longer propel the craft. In daytime, they can be only seen as four tiny dots. 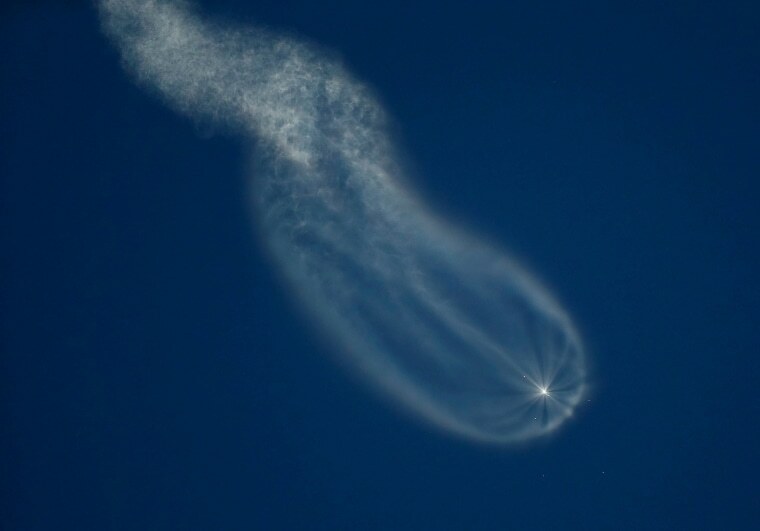 But because the unusual lighting made Soyuz's condensation trail very bright, it was easy to see the cross-shaped pattern formed by the discarded boosters. 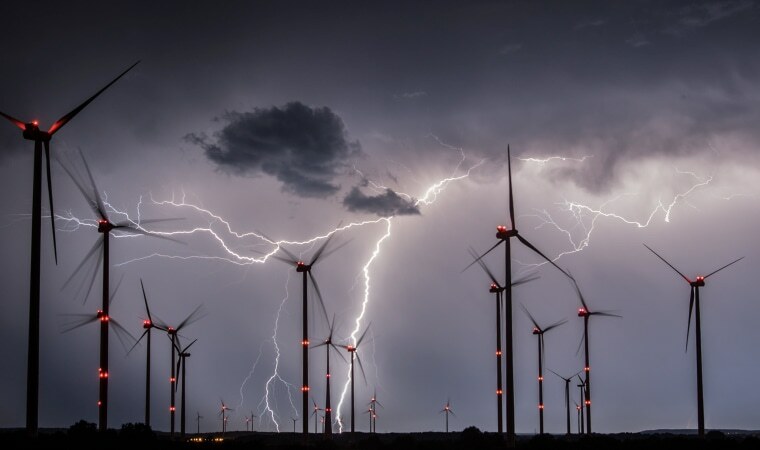 Lightning flashes over wind turbines near Sieversdorf, eastern Germany, on Aug. 1. 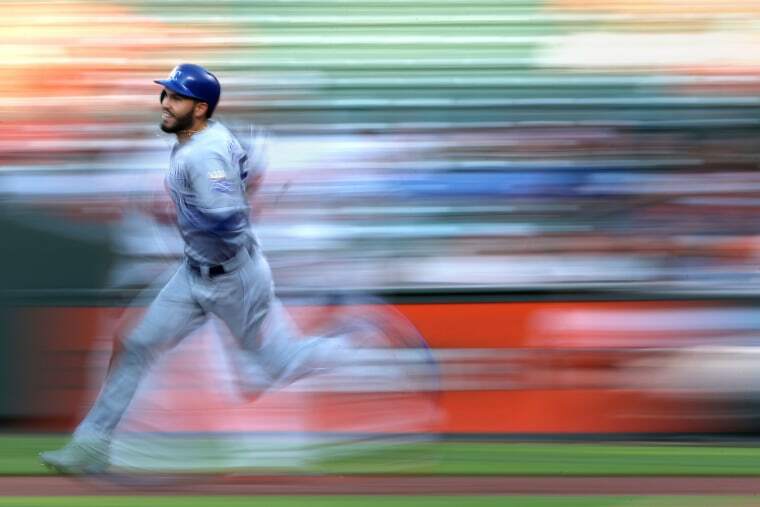 Eric Hosmer of the Kansas City Royals runs the bases after hitting an RBI double against the Baltimore Orioles during the first inning at Oriole Park on July 31 in Baltimore. 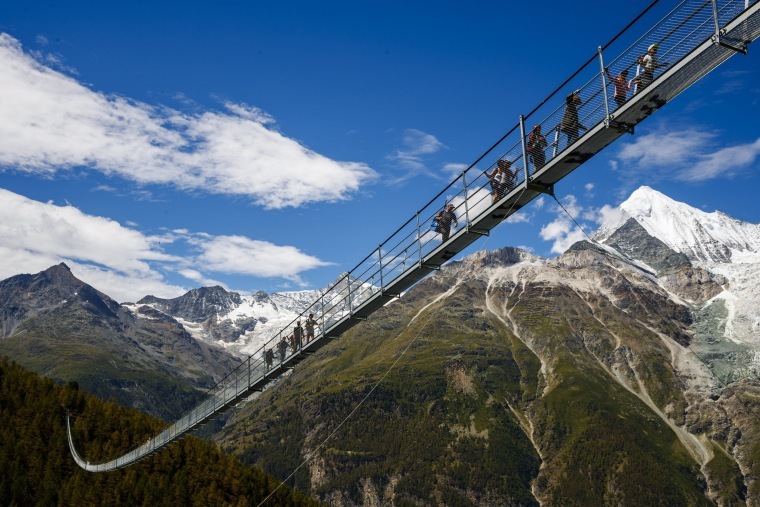 People walk on the 'Europabruecke' bridge, the world's longest pedestrian suspension bridge with a length of 494m, after the official inauguration of the construction in Randa, Switzerland, on July 29 The bridge is situated on the Europaweg that connects the villages of Zermatt and Graechen. 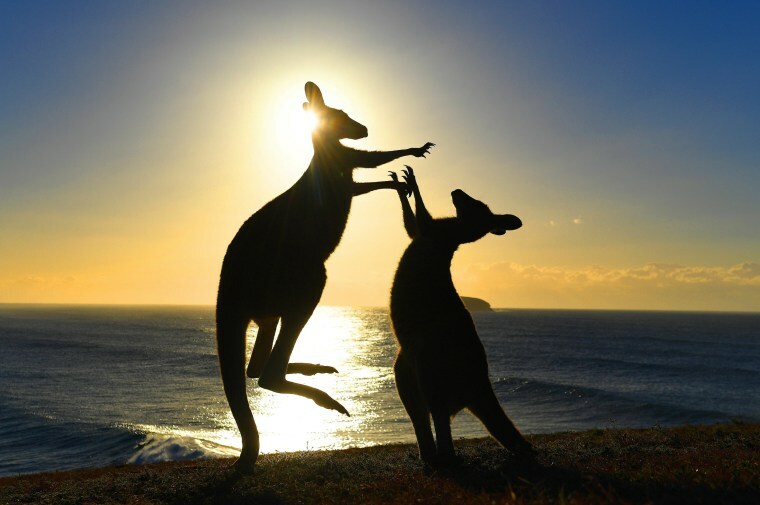 Eastern grey kangaroos fight at Emerald Beach in northern New South Wales, Australia, on Aug. 2.